It’s Friday and we’re eating cheese. And balls of meat. !!! What does that sound so much more terrible than meatballs? Anytime I hear the words “meat” and “cheese” together, my head automatically starts playing Melissa McCarthy’s scene in Bridesmaids that runs during the credits. Do you want this bear sandwich? It’s full of meats and cheeses. This is not that. But still. If I even told you how many times we ate meatballs last week, you’d die. Four. Four times. Four times in seven days. GAH. It wasn’t purposefully. As you can imagine, meatballs are not my thang since I don’t love tomato sauce. But every once in a while, like maybe twice or thrice (never will get over that word) a year, I crave them. Last week, I was craving them. So was Eddie. He even asked for them for dinner one night and it’s rare that he provides dinner suggestions. I made them with the thought in mind that we would have them with pasta the first night and leftovers the next night in the form of meatball subs. We did just that. They were so fantastic both nights. Happy campers. Then. Sunday afternoon we ended up eating them again at a birthday party. And we promptly left the party, went to my parents’ house for the superbowl where my mom was serving… meatballs. More meatballs. To say we were meatballed out would be an understatement. The only thing was that we still had a few leftover meatballs at home and I couldn’t bear the thought of pitching them. There were just enough left that it would be too wasteful. SO. Grilled cheese it was. At first I was afraid it would be too similar to a meatball sub or even these meatball sliders. But really? It wasn’t at all. Yes, there was still meatballs. Still cheese. And sauce, albeit a very minimal amount. But the toasty, buttery crunchy bread is what made this different. Obviously the texture – but also the taste. Our meatball subs were focused on the meatballs. One of the only things in life we should really focus on, in my opinion. I think that’s just the cutest. Girl, my dream is to eat meatballs 3 times in 7 days. Looooove. 4 out of 7 days?? Meatball heaven!! It is February after all, so why not eat meatballs everyday! Especially if they are mini, and made into such a delicious looking sandwich! Pinning! next time you are craving them, make sure you come down to check out sienna mercato’s emporio! so many other options that a tomato sauce or ‘sunday gravy’ as they call it! This might be one of the best things I’ve ever seen. I spend a lot of time focusing on cheese. I’m so glad I’m not alone. 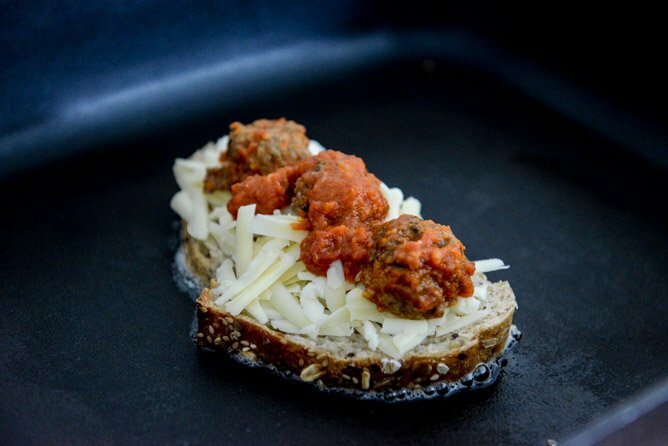 My kids would love mini meatballs and grilled cheese. It sounds perfect for Friday – we have a movie night with cool food together. My boyfriend and I have been meal planning lately to try to minimize the, “So… what’s for dinner?” conversation at 7pm after the gym on a work night. The other day, he asked why I never plan any sandwiches, so I threw this into the mix the following week. We both enjoyed it so much!! The sandwich is amazing, and I paired it with creamy tomato parmesan soup to go with the dreary weather we are having lately. Love! these meatballs are a staple in my home…. and a favorite of all 3 of my picky eaters! 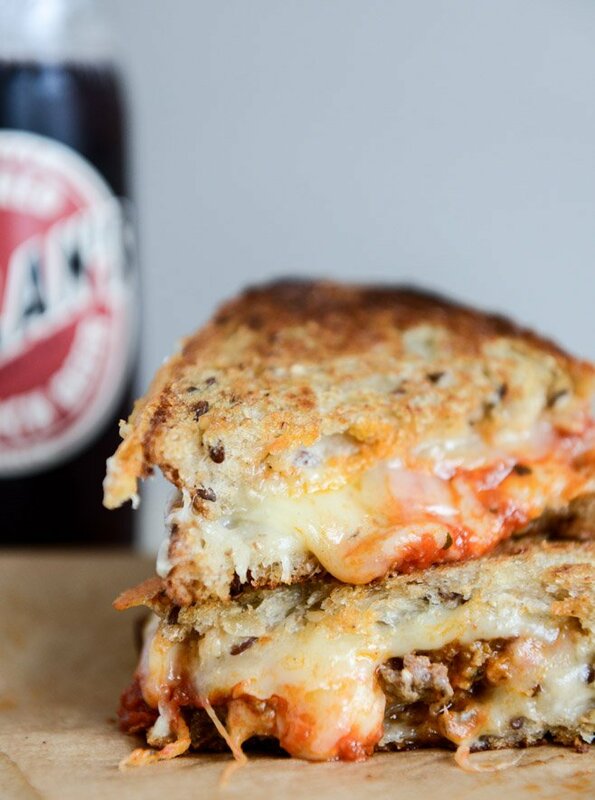 Pingback: Here Are 25 Insanely Good Melted Cheese Recipes, You're Welcome - Viral Posts Ninja! 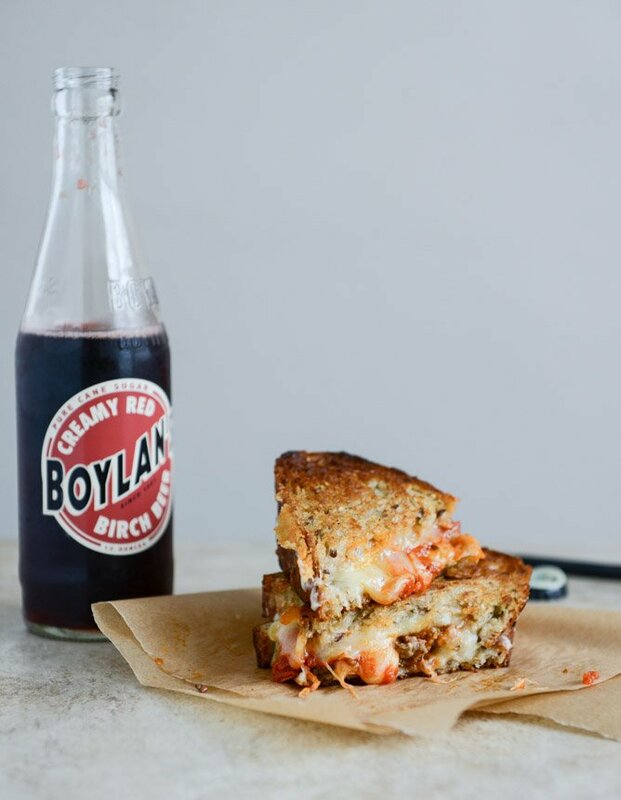 Pingback: 25 Cheesy Recipes That Will Have You Melting Away In The Kitchen - Viral Posts Ninja!